Both tables feature a table top made of acacia wood and a frame of black, powder coated metal. Industrial design combines metal and wood. Suitable for every interior. Available at Furnwise! 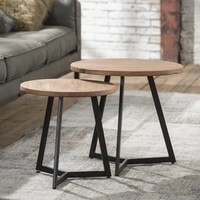 This set of 2 side tables each features a round table top made of acacia wood and a frame of black powder coated metal. 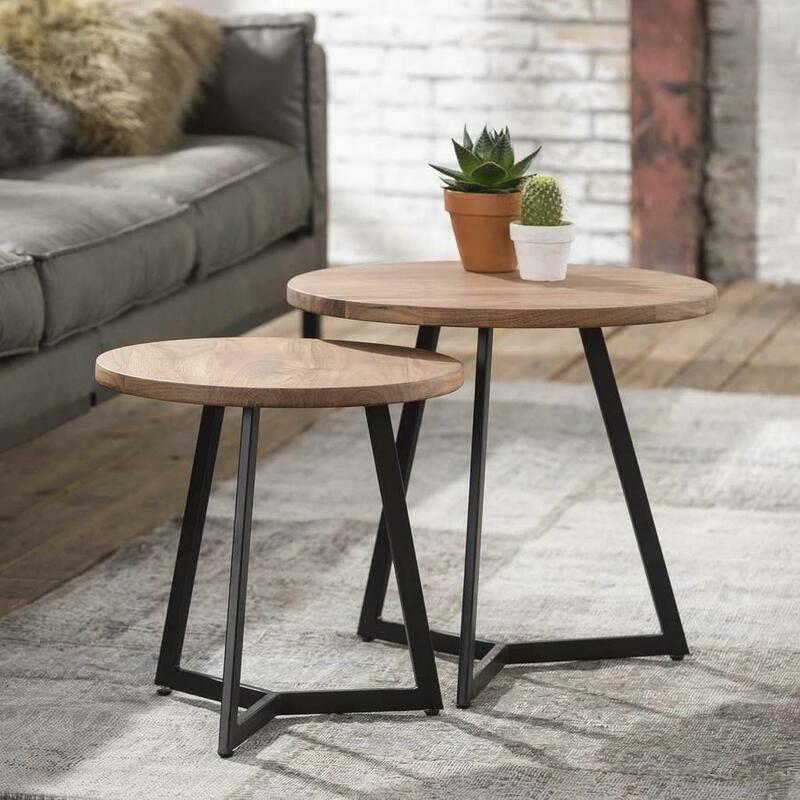 The tripod is linked on the floor, which provides excellent stability to the side tables. Due to a height difference between the tables of 5 centimeters, the smaller table can be placed inside the larger one when the tables are stored or not in use. Nice set of tables, well packaged and the set arrived quickly.